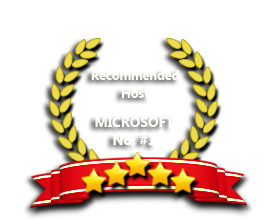 ASPHostPortal windows hosting is compatible with the DotNetNuke 7.3. We offer DotNetNuke 7.3 based hosting plan from just $5/month (see our DNN Hosting Plan). The DNN 7.3 release improves the run-time characteristics of the platform in a variety of ways. End users will notice faster page response time and administrators will appreciate a more responsive user experience, especially on larger scale web sites. Server processing has been optimized and resource consumption has been dramatically reduced, resulting in greater scalability and improved site density in all infrastructure environments. Our support team is extremely fast and can help you with setting up and using DotNetNuke 7.3 on your account. Our customer support will help you 24 hours a day, 7 days a week and 365 days a year. Our Windows Cloud Hosting fully supports DotNetNuke 7.3 hosting. You are more than welcome to try our Free Windows Cloud Hosting before you decide to buy. You can get your Free Cloud Windows hosting account up and running within the next few minutes.